Worth and Ola could not help but take a rather too healthy interest in this gorgeous F Pace Jaguar that appeared in their lane. Worth thought it was simply stunning. 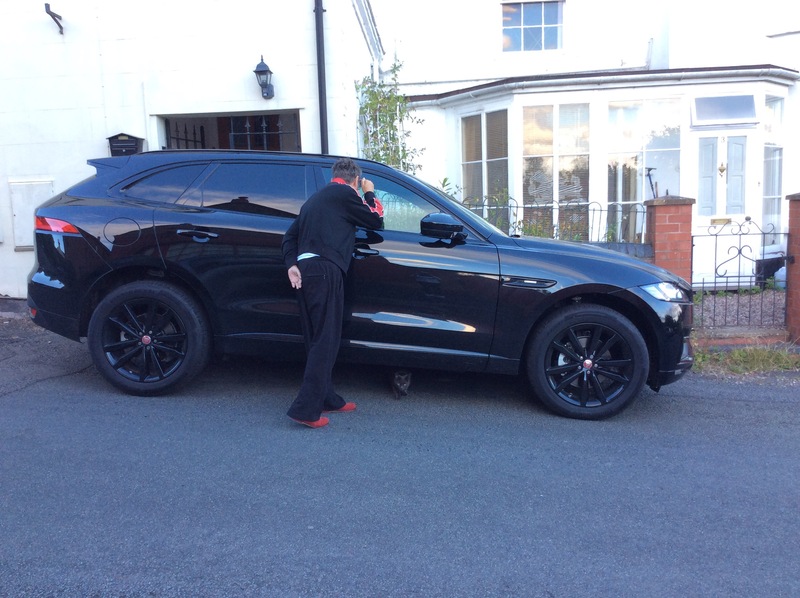 Gates was struck by the red accents in the F Pace coordinating with Worth’s own red accents his quintessentially English red slippers!